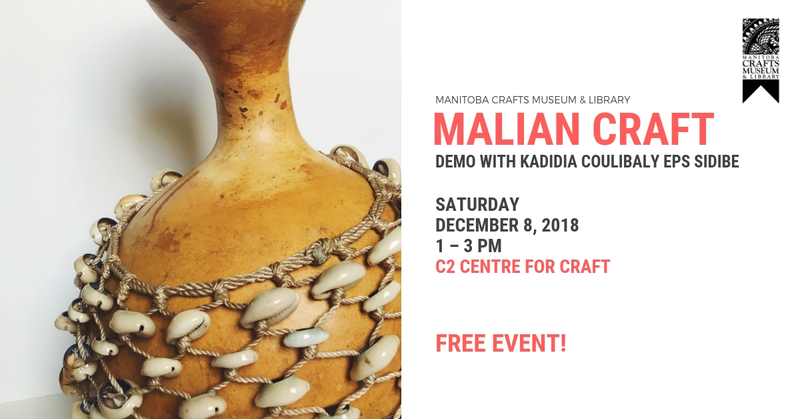 Malian Craft Demo with Kadidia Coulibaly Eps Sidibe. Learn and see the art of Malian Craft with local artist Kadidia Coulibaly Eps Sidibe. Kadidia comes from the fourth region of Mali, called Segou. She is a proud Bambara who is fluent in Bambara, French and English language. Kadidia has been handcrafting various garment and jewelry pieces for more than 25 years now. She came to Winnipeg, Canada in 2014 and love friendly ‘Peggers and our short summer. She uses recycled plastic to weave cotton threads and make colorful bracelets out of it. She mostly uses Malian cotton to hand embroidery on. She also prefers to use natural dyes to color the traditional tunics (including ‘Bogolan’), shirts, skirts (including ‘Tafe’) and dresses. Along with them, she also makes necklaces and belly-chain ( Moromoro/ Baya) made out of Malian nut called N’taba Koumba Kolo. Kadidia is an accomplished artist who loves to share her skills and is an aspiring businesswoman.